Thracians tribes, ancient Greeks and Romans, Slavs and Protobulgarians worked with dedication to erect sites which still stand and tell glorious tales of times past. UNESCO sites in Bulgaria are enough to give you an idea of how rich the country’s culture and history are. The Rila Monastery is among the top sites to visit. It is Bulgaria’s largest monastery, picturesquely located in the folds of the Rila mountain. It has stood there since its establishment in the tenth century, and has been the stronghold for Bulgarian enlightenment and culture. The monastery complex spans an area of 8,800 square meters. The premises are nearly 300. The monastery museum is the place where you can learn about its remarkable history. 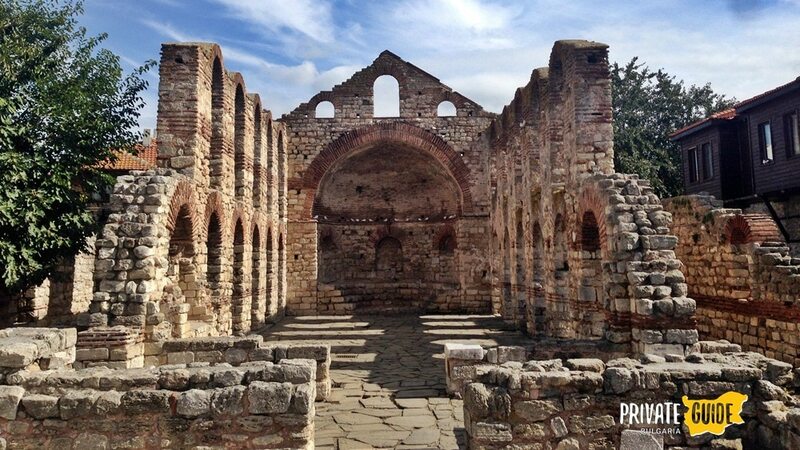 Another ancient site is the Boyana Church, in the capital Sofia. It also dates from the tenth century, and is precious with its several layers of murals. Among the images on them, Jesus Christ and the Holy Mother, along with Bulgarian kings anf queens, are depicted. The murals were made in diverse period by diverse painters. The Madara Rider is a unique relief on a vertical rock, in northeast Bulgaria, near the Shumen town. The rock rises by the village of Madara. The relief was carved at a height of 23 meters. It is over 1,000 years old, but the images of a rider holding a spear, a wounded lion at the feet of the horse, and a hunting dog are clearly seen. The precise year of carving, or who the rider depicted is, are not certain. In 2008, after nationwide voting, the Madara Rider was selected as the global symbol of Bulgaria. The list of UNESCO sites for Bulgaria comprses the rock churches complex near the Ivanovo village, in the vicinity of the Danubian town of Rousse, 20 km away from it. The name of the compex is Saint Archangel Michael; it was founded in the beginning of the thirteenth century. The Holy Mother church, with well preserved beautiful murals, is especially impressive. The monastery complex belongs with the Roussenski Lom nature park, ideal for eco tourism, bird wayching, visiting the Orlova Chuka cave nearby, and the Basarbovski Monastery, the only functioning rock monastery in Bulgaria. Thracian tombs are a worthy part of UNESCO’s heritage in Bulgaria. The Kazanlak Tomb, located in a small park in Kazanlak, by the Balkan, is closed for visitors, but its replica, adjacent to it, is open for tourists and presents the grandeur of the tomb where an unknown Thracian chief was buried in the fourth or third century BC. The nurals are among the best preserved from that ancient period. The Sveshtari Tomb, also from Thracian times, belongs with UNESCO’s list for Bulgaria too. Located near Isperih, in northeast Bulgaria, it is part of the Sboryanovo historical and archeological reserve. The tomb was built in the third century BC. A Thracian chief was buried there. It impresses with the magnificent architecture and decorations, among which are the statues of women with raised hands, on whose faces and hands there are still traces remaining of colorful decorations. Visitors can cobine a visit to the Sveshtari Tomb with a walk to another tomb called Demir Baba Teke. That is the tomb of a Muslim, revered by both Muslims and Christians and believed to have miraculous healing powers. The sea coast boasts another UNESCO site in Bulgaria, near Burgas, in the town of Nessebar. It combines ancient sites and Revival period architecture. The sites are located in the ancient town, on a picturesque small peninsula, which is reached along a narrow stretch of land. The ancient Nessebar was established 3,200 years ago. The remains of fortress walls, Byzantine period baths, and several temples have been preserved. The renovated Revival period houses are over 100. One of them, built in 1840, houses the Ethnographic museum. Bulgaria’s nature also boasts UNESCO recognition on its list of nature sites. Let us start with the Pirin Mountain National Park, in the southwest of Bulgaria. The mountain abounds in beautiful mountain scapes, lakes, coniferous forests, and the biodiversity is extensive. There are two reserves in Pirin, 1,315 plants species, over 200 animal species, 159 bird species. The oldest tree in Bulgaria, a fir tree aged over 1,300 years, is over the Bansko town, near the Bunderitsa mountain home. Over Bansko rises Bulgaria’s second highest peak, Vihren, 1,914 meters high. By the Danube, near Silistra, the Srebarna Lake reserve is another Bulgarian UNESCO heritage gem. It boasts rare birds and birds nearing extinction which nest or have a rest here, en route for the south. The reserve area is 600 hectares, 2 kilometers from the Danube. Pelicans, white geese, ducks, herons are among the rare birds inhabiting the lake. Finally, the picture of Bulgaria’s heritage would not be complete without several unique customs. On Bulgarian UNESCO’s list since 2005 have been the Bistrishki Grannies, performers of old folklore from the Shoppe region near Sofia. The songs they perform have spellbinding archaic polyphony. They also perform old dances and customs of the region. Another unique custom, the rite of dancing on live coals, barefoot, is called Nestinari. It was practiced in Thrace, and now the rite is preserved in the Strandzha mountain, in southeast Bulgaria, in the villages of Bulgari, Kosti, Brodilovo. It is believed the rite has its roots in the pagan past on these land, related to the cult of the Sun by Thracians. Dancers perform on June 3, when the day of Saints Constantine and Elena (old style) is celebrated. The Nestinari women tread on the coals with small steps. Be certain to see Chiprovtsi carpets, which are manually woven from natural materials, cotton and wool, in the Chiprovtsi town, have two identical sides. The custom of weaving them originated in the seventeenth century. The colors used are yellow, brown, red, blue, and green. Chiprovtsi carpets have a thickness of 3 to 5 millimeters. Last but not least, the Surva custom is worth describing and watching. It celebrates the first day of the New Year, on January 1. Groups of boys, aged 4 to 12 years, or unmarried men, go round houses, singing special carols, and holding decorated sticks. They pat the householders with the sticks, to wish them health and fertility, and get treats in return.